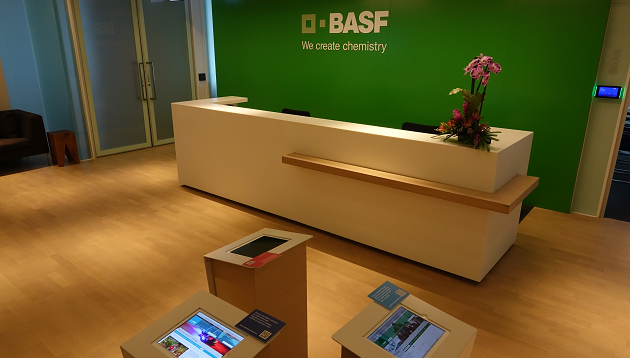 When global chemical company BASF was planning the large-scale remodeling and makeover of its regional head office in Hong Kong, the company had its corporate purpose in mind: “We create chemistry for a sustainable future”. 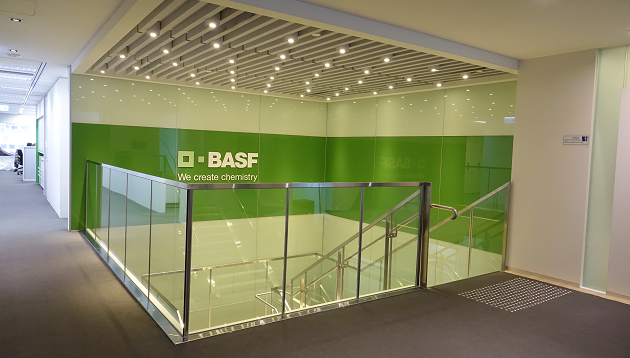 At the same time, BASF was eager to put its own solutions for sustainable buildings and construction into practice, as well reflect brand values in the amenities. The company’s purpose has been brought to life in Central, Hong Kong: the office design contributes to improved workplace satisfaction and productivity, while reducing the environmental impact in the workplace. As a result, BASF’s regional office recently received the “Green Office” label from World Green Organisation (WGO). for the second consecutive year. Housing around 600 employees, BASF’s regional head office in Hong Kong spans four floors, occupying an area of over 60,000 square feet, in Jardine House in Central. 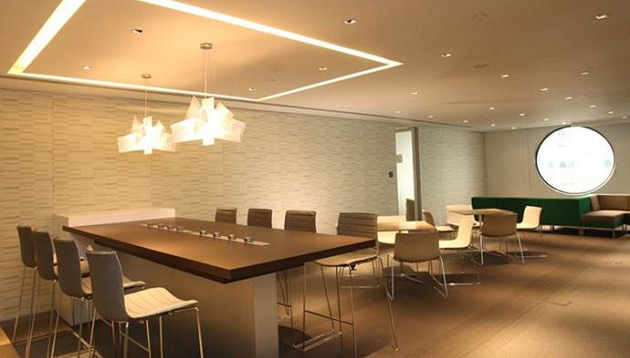 The design features an open-plan office space which facilitates communication and collaboration among employees. However, an open plan also creates some practical challenges: noise and lack of privacy. BASF took these concerns into consideration during the office design phase. Different types of rooms were designed to offer flexibility and meet the needs of employees, including quiet rooms which can be used for concentrated work as well as private or confidential conversations or calls; rooms equipped with video and audio systems for video conferencing and presentations; and meeting rooms which can be easily reconfigured to form a large conference room for events such as town hall meetings. 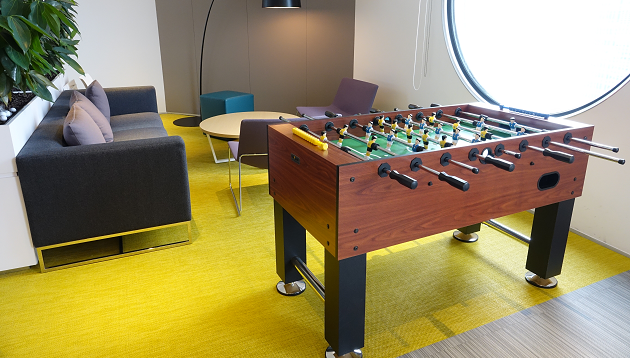 While driving collaboration among employees was one of the goals of the office renovation, the company also focused on ensuring that the office minimises environmental impact. This was done in particular by adopting a range of energy efficiency measures.Open work stations are installed along the windows while enclosed rooms are located on the inner core. This set-up enables maximum daylight penetration, providing 80% of interior illumination. Together with the use of a smart LED lighting system, including light zoning, motion sensors, and timer controls, the company is able to achieve 50% savings on its electricity use. To reduce the CO2 footprint, environmental measures have been installed in the pantries. To reduce waste, the pantries have reusable eating utensils to discourage the use of disposable ones. 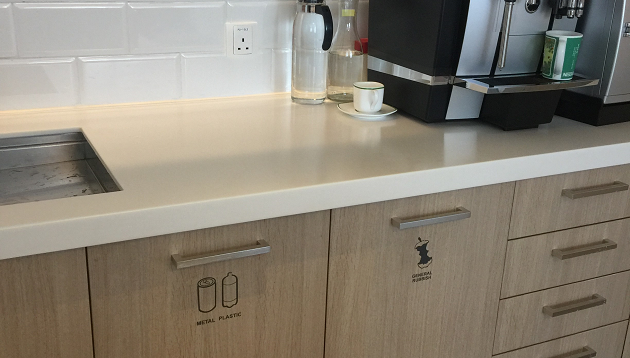 Employees are also encouraged to use recycling bins available in the pantries and printing rooms. BASF’s own solutions are used in a number of features in the office for sustainable construction. 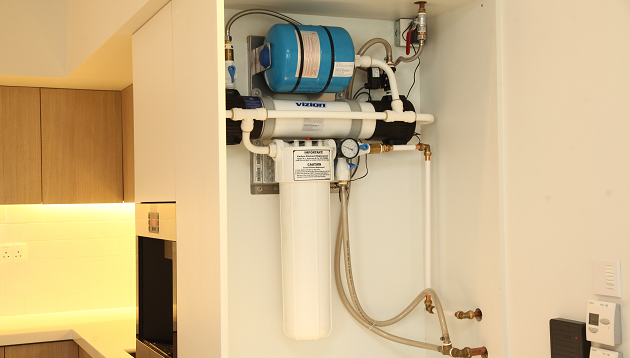 A water filtration system using a BASF product is installed in pantries, allowing the office to use only purified tap water and nobottled water. To create a more comfortable and quiet office environment that enhances productivity, all workstations and high-back sofas use Basotect®, a flexible, open cell foam providing excellent sound insulation. To ensure low odour and low volatile organic compounds, BASF used interior decorative paint made with ingredients from the company’s own water-based product series. “BASF’s regional headquarters office is a good example of how we are designing our offices with the well-being of employees in mind,” Reineke says. “The office in Hong Kong offers a variety of formal and informal work settings that encourage movement around the office and lets employees choose the setting that best suits their activities. By creating an “excellent place to work” – part of BASF’s HR strategy – the Hong Kong office serves as the lighthouse project for other BASF offices in Asia Pacific,” he adds. 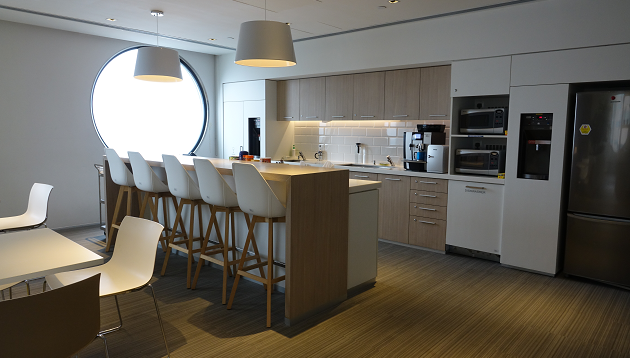 The pantries feature open space, and modern furnishings with high natural daylight penetration, creating a warmer vibe in which employees can temporarily wind down and recharge themselves or have discussions in a casual and relaxed setting. A foosball table stationed at one of the pantries is a popular time-out activity for employees. Apart from the first-aid room, the office also has a lactation room to accommodate the needs of nursing mothers. An office makeover requires comprehensive planning. Embedding company goals into office design can effectively immerse employees in the company culture and brand values. As society is becoming more conscious about energy saving, it is wise to invest in building an energy efficient workplace. Aside from minimising our environmental impact, an energy efficient office can also save operating costs and build a better company reputation. Singaporean Bernard Columba relocates to Phuket for a senior role with Absolute World Group, as Alan Darr moves into a corporate d..